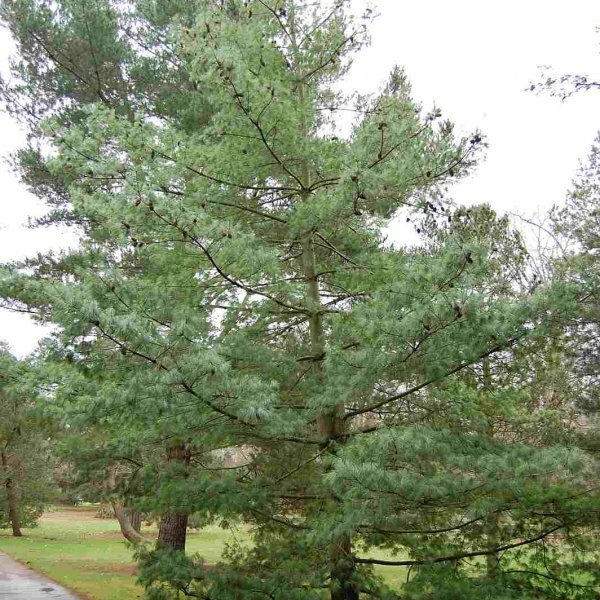 This medium-sized evergreen tree from Asian uplands is notable for its long, handsome pine needles and cones. It occurs primarily in western and central China, with scattered populations in other parts of Asia. 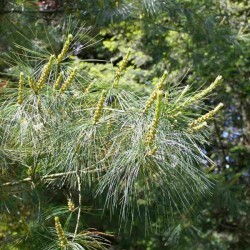 The long, supple, bright green needles of this pine are held in bundles of five. The needles sometimes droop, creating a cascading effect. 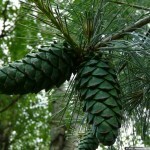 In spring, trees produce tiny male cones and long slender female cones on the previous year's growth. The clustered, pendent female cones are covered with fleshy green scales that turn woody and brown as they mature. They are often frosted with resin. 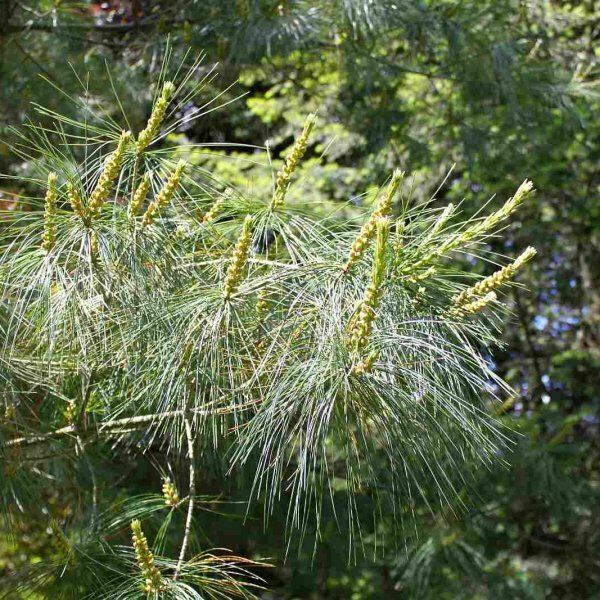 Conical and low-branched when young, this pine grows relatively rapidly into a wide-spreading tree with well-spaced, horizontal branches. Its gray-brown bark becomes fissured and platy on older stems. Pinus armandii requires little maintenance. 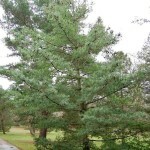 This distinctive pine favors full sun and well-drained, humus-rich soil. It dislikes excessive heat, cold, or wind. 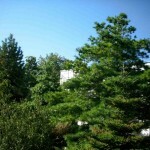 It is reputed to be relatively resistant to white pine blister rust. It makes a striking specimen for parks and other large properties. Landscape uses - Featured plant. Useful as an attractive parkland evergreen tree. Once established this tree is drought tolerant.